So back into Taiwan, Jeremy presided over the opening of his 4-Day basketball training camp for young kids/lads in Taipei today (August 27). 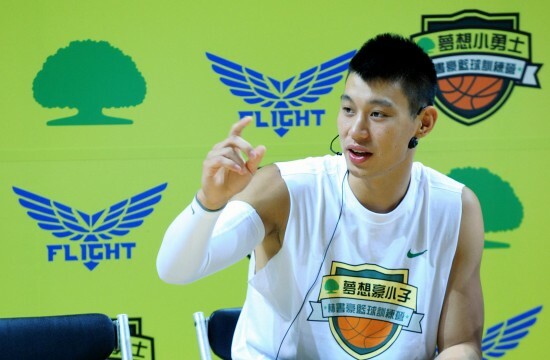 The basketball camp is sponsored by his Taiwanese endorser, Cathay Financial Group. And unlike the camp he held in Dongguan, this camp seemed to be just for fun, and targeting for school boys and girls of relatively young age. So as seen from the photos, Jeremy is just like their big brother and is having fun !! His ex Golden States Warriors team mate and good friend David Lee had also travelled to Taipei to help him coaching the camp. Here are some photos of Day 1 of the basketball camp. anyone worried that Jeremy isn't spending a lot of time working on improving his game for the upcoming season? There will be a full training camp this season. Lin works on his shot every day. Well, if what the Chinese media/press had been reporting correctly, Jeremy had brought along 2 coaches (shooting and strength & conditioning) with him on this Greater China tour. His brother Joseph is also accompanying him throughout the tour. there were reports that he suqeezed time in between for 2 to 3 hours practice every day in every of the cities he had travelled so far. Besides, he was coaching in 2 training camps (in Dongguan and Taipei); that sort of gave him ample of time to keep his shooting touch and feel with the rock. His Greater China tour will end in about a week's time. He will be back to USA, and there will still be ample of time including the training camp and pre-season games for him to work himself back to top competitve shape and form. So IMHO, there is no need to over-worry. 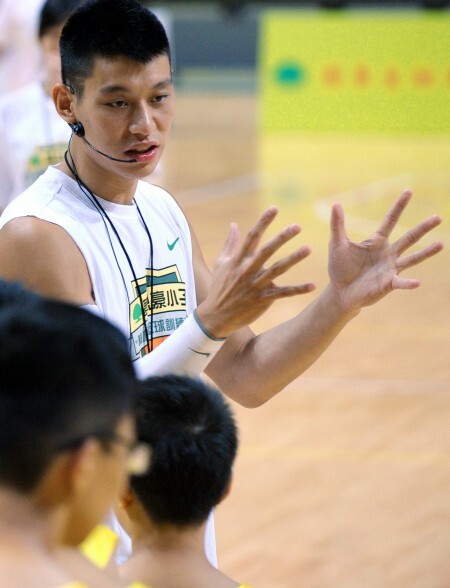 Well, there were previous articles reporting on his contents of daily practice/training when he was in Dongguan. He usually set aside training for at least 3 hours daily. Then the remaining 2 hours was spent on his shooting practice. Throughout this summer, he focused on working on his left hand, i.e. using his left hand to dribble, penetrate and pass. On his shooting practice, he did alot of penetration, catch-and-shoot, fadeaway, jumpers from different spots and one-on-one with his coach who used a baffle to simulate stronger physical contest. He also told reporters that he had slashed some weight so as to lessen pressure on his knees, but he felt he has become much stronger and muscular in his upper limbs. 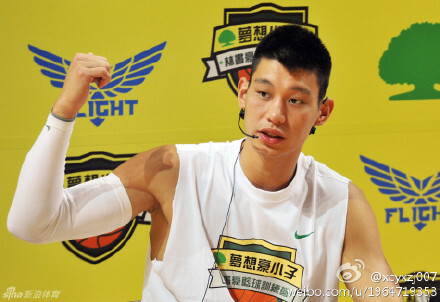 Glad to see the other Asian-Korean-American, David Lee, joining Jeremy Lin in Asia. NEVER heard that there is Korean blood line in David Lee, neither from his paternal or maternal side. He is Caucasian, I think. If David Lee is Korean-American, then DEFINITELY South Korea would have tried to lure him to join their national team, and then South Korean national team would have been an AWESOME outfit for any other country in Asia.